Discover ARDF in the Americas! The International Amateur Radio Union (IARU) represents the interests of Amateur Radio operators worldwide, and is the international organizing body for ARDF. IARU Region 2 is the regional organization for the American continent, the Caribbean, and some islands of the Pacific. The IARU Region 2 ARDF Coordinator encourages and supports the growth of the sport of ARDF in IARU Region 2, coordinates international activities with Regions 1 and 3, and reports to the IARU Region 2 Executive Commitee. region. 29 January 2019 - The Korean Amateur Radio League (KARL) has published the final report from the 19th World ARDF Championships. The document includes final results, maps from each event, and reports from the jury and organizers. You can download the report here (PDF format, 11.7 MB). 13 January 2019 - The IARU Region 1 ARDF Working Group has published a new version of the ARDF Rules. These rules are also commonly used in international competitions in IARU Regions 2. The new rules, and a documen of changes, are available here. 8 January 2019 - Results (in PDF format) from the first IARU Region 2 ARDF Community Survey are now online here in Spanish and English. Please share with anyone and everyone interested in ARDF in Region 2. 1-4 August 2019 - The 2019 IARU Region 2 ARDF Championships (held in conjunction with the United States ARDF Championships) will be in the Raleigh, North Carolina area. For more details, see Event Information. 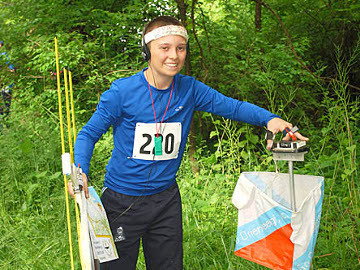 30 June - 4 July 2019 - The Ukrainian Amateur Radio League (UARL) will host the third World Youth ARDF Championship for competitors up to age 16. IARU members societies should submit their Letter of Intent to participate by 20 January 2019. For more details, see here. 1 November 2018 - The first IARU Region 2 ARDF Community Survey is now online at https://surveyhero.com/c/e215f18d. Please share with anyone and everyone interested in sharing feedback about ARDF in Region 2. THe survey will remain open through November. 2-8 September 2018 - Sokcho, Korea will be the site of the 2018 World ARDF Championships. IARU members societies should submit their Letter of Intent to participate by 10 March 2018. 9 August 2018 - After 15 years as IARU Region 2 ARDF Coordinator, Dale Hunt WB6BYU has stepped down. He has been an active promoter, article writer, competitor, referee, and organizer of ARDF competitions in the region and at the world level. The IARU R2 Executive Commitee thank him for his voluntary work all these years. The IARU R2 EC has named Ken Harker WM5R as the new IARU R2 ARDF Coordinator. Web server hosting by QTH.com.